RSVP for High Holiday Services! Sign Up To Be a High Holiday Do-er! For 40 years, Kadima has seen itself as interconnected and working toward collective liberation. Celebrating our 40th year, we bring this idea to the forefront during High Holidays. Join us, whether you are new or old to our 40 years of work, to hear from members of various generations of Kadima and various, interconnected fights for justice. 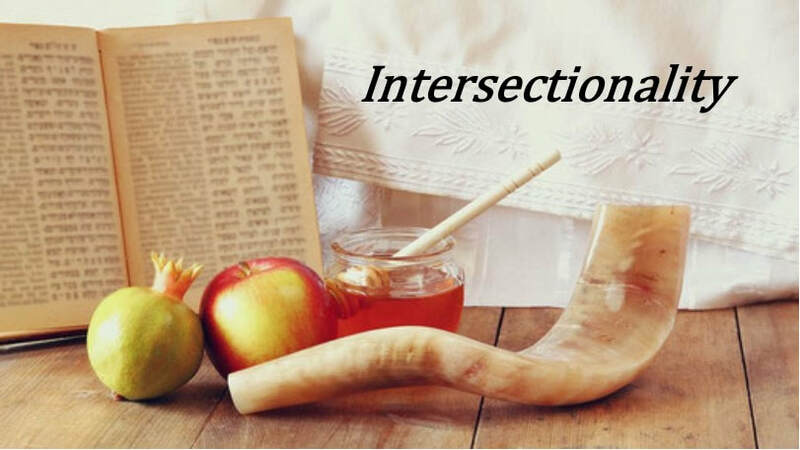 We have a full schedule of thoughtful, celebratory, and connecting events for Rosh Hashanah, Yom Kippur, Sukkot, and Simchat Torah. Monday, September 10, 9:45 am, 10 am start time Rosh Hashanah services including Torah service. Community potluck lunch (vegetarian/vegan/dairy - no meat) to follow. Childcare provided during this service at no charge. Please bring a bowl and utensils as needed to cut down on our dish-doing. We will provide a limited number of compostable plates and cutlery. We will meet at Madrona Park by the Parking Lot. Option to walk from Kadima at 2:30pm or to meet at the beach at 3pm. We will cast stones into the Lake and consider the ways we can offer forgiveness this season - to ourselves and others. Yom Kippur Morning Services including Torah service. Childcare provided during this service at no charge. Join us through the day for Yizkor, Neilah, Break-Fast, and more! Celebrate Sukkot and Simchat Torah with a special Kadima morning service filled mostly of song, dancing with the torah, and completely unrolling the torah. Young people are welcome and encouraged to participate in for the unrolling of the torah scroll and torah scavenger hunt. After a full-on celebration, enjoy a potluck Community Shabbat Sukkot Lunch in and around our sukkah in front of the building. All services will take place at our home in Madrona Grace Presbyterian Church, unless otherwise noted. 832 32nd Ave, Seattle, WA 98122. There is one handicap parking space in front of the church on 32nd. The best street spaces are by the park behind the church on 33rd. There is no parking lot, but you shouldn’t have to walk very far. Stairs lead up to the main entrance into the sanctuary. If you need assistance, we have an elevator that can safely accommodate a wheelchair or simply provide an easier lift into the sanctuary. Simply ask a greeter for a lift, they will be welcoming people outside the main sanctuary doors on 32nd Street. Our services at Kadima are free and open to the public, and donations are gratefully accepted. While we don't require you to RSVP, it is a nice gesture as it gives us a good measure for how many materials we will need for the services, as well as potluck supplies. You can donate HERE. Following most of our services will be a Community Potluck Lunch. These are open to whomever would like to attend. We do ask that you bring a potluck item to share. Free childcare will be provided for both daytime and evening services. The children will be located in the nursery upstairs for game playing, coloring, and other fun activities. Children are also welcome to attend services. If you signed up to volunteer, please arrive half an hour before the start of services for a bit of orientation and set up. If you decide you would like to help the day of at a service you attend, please let one of our volunteer greeters know. We would love to have your help, even if it is just for a few moments before or after the service. Kadima is accepting non-perishable food donations for Jewish Family Services during October. This is a great way to help those Jewish families in need by providing quality foods for the holidays. We have donation bins set up in the main entry for the sanctuary, and upstairs outside of the Kadima office. Please bring what you can.